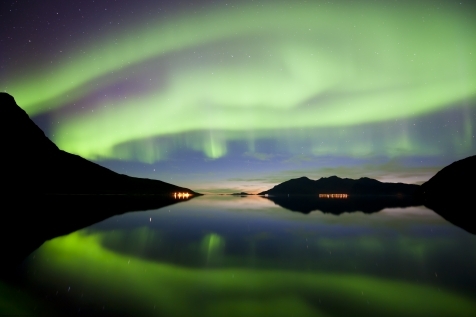 Join this small, locally escorted tour (max 20 people) travelling from Northern Finland, around the North Cape in Northern Norway, ending in Tromsø, the self-styled capital of the northern lights. The tour showcases the best this region has to offer and, as all your time is spent above the Arctic Circle it presents an excellent opportunity to view the northern lights. Add optional excursions to suit your agenda, with an opportunity to dine in a variety of restaurants, whilst having the reassurance of an experienced English speaking guide on hand to assist you throughout the journey. Fly to Ivalo, located high above the Arctic Circle in Finnish Lapland and transfer to Santa’s Hotel Tunturi, just 30 minutes from the airport. Check-in to your chosen accommodation and familiarise yourself with your surroundings. Later there is a welcome meeting and dinner, providing the perfect opportunity to meet with your fellow travellers. Saariselka is situated on the edge of the vast Urho Kekkonen National Park, which extends eastwards from the resort through the wilderness of Finnish Lapland all the way to the Russian border. Today is at leisure, enabling you to explore this stunning landscape with a variety of optional excursions (supplements apply). 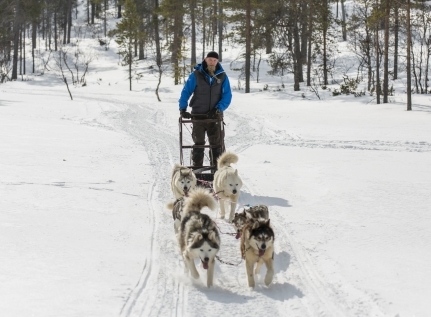 Enjoy a thrilling snowmobile safari or take control of your own team of huskies. Both options take you on designated trails through the snowclad forests and across frozen lakes that typify this region. Dine at leisure (pay locally) before gathering to go in search for the northern lights. You will sit, wrapped in blankets and reindeer skins on a sled pulled by a snowmobile. Should the conditions be right, you should be rewarded with a dazzling display overhead. After breakfast today, you will check-out and head by private coach to Inari, where a stop is made at the Siida Sami Museum (entry included). The museum offers a fascinating insight into the Sami culture and life in Lapland. Continuing Northwest, you cross the border into Norway, shortly arriving in Karasjok, the Sami capital and home to the Sami Parliament. Time is at leisure until dinner this evening, taken in the hotel restaurant. Today’s journey north continues after breakfast, as you head towards the North Cape. Travelling through the North Cape tunnel you reach Magerøya Island on which the North Cape is situated – and a visit to the cliff is scheduled (subject to weather conditions). Continue on to the small coastal resort of Honingsvag, where there is time to relax before dinner this evening. Today you and your fellow traveller’s will head south along the Porsanger fjord, bound for Alta. Alta is considered the home of the northern lights, as it was here that the first northern lights laboratory was built and the scientific reason for their appearance was discovered. In the afternoon a visit to the Alta Museum also illustrates the history of the region, which dates back to 4,000 BC and the discovery of ancient rock carvings. The remainder of your time in Alta is at your leisure. 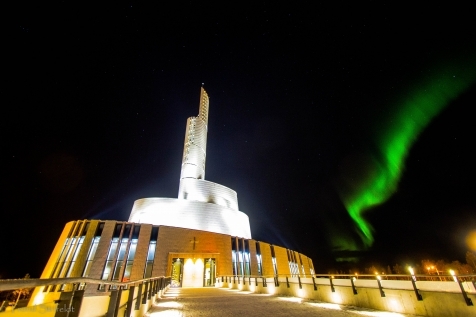 Don’t’ forget to take a stroll around the titanium clad Northern Lights Cathedral, which can form a stunning backdrop should the northern lights appear. 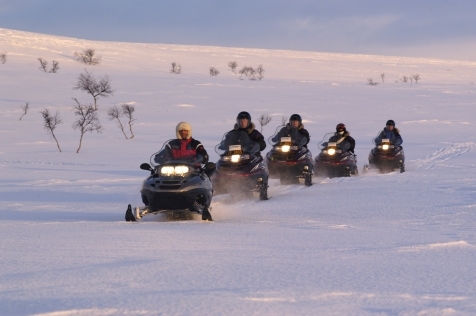 Excursion options include husky and snowmobile safari’s. This evening you can choose to dine in one of the many local restaurants (pay locally) or upgrade and stay in a snow room at the Sorrisniva Igloo Hotel, and eat at their award-winning restaurant. located just 30 minutes out of the city. Today your group and guide will travel by coach to Tromsø. This journey takes you across frozen plains and hugs the shorelines of numerous fjords and lakes before arriving in Tromsø, 6 hours later. After the emptiness of the Arctic tundra, Tromsø will feel like a buzzing metropolis and has rightly claimed the self-styled title ‘Capital of the Northern Lights’. After check-in, there is some free time to enjoy your surroundings before heading out on a final northern lights quest, where a light wilderness dinner will be served. Today is at leisure to enjoy the many delights of Tromsø. And there is something to suit everyone. Tromsø has museums a plenty, an Arctic Cathedral, take the cable car to the top of Storsteinen for spectacular views. 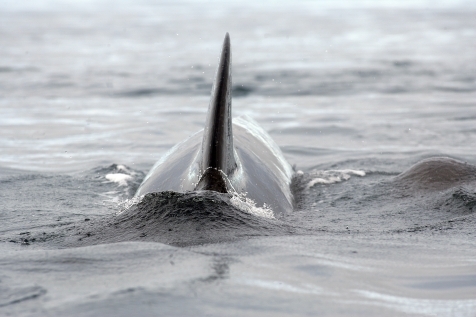 Husky, Reindeer and snowmobile safaris are on hand, as well as whale-watching and cross-country skiing. Please discuss with your consultant the optional excursions on offer in this vibrant university town. It is time to say good-bye to your fellow travellers and Guide before heading to the airport via shuttle transfer in time for your flight back to the UK. Airport/hotel transfers in Saariselka and Tromso.